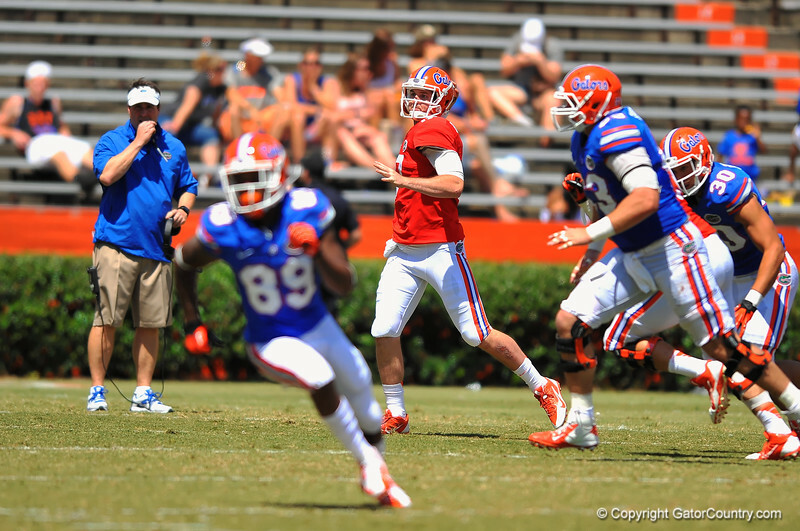 Florida QB Skyler Mornhinweg throws downfield as Gator Head Coach Will Muschamp watches on behind him. 2014 Orange and Blue Debut. April 12th, 2014. Gator Country photo by David Bowie.